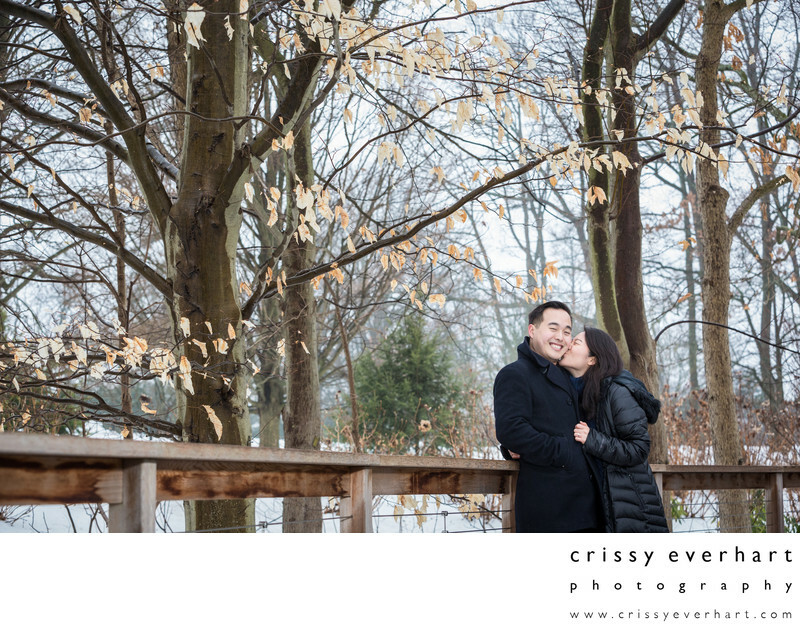 Engaged couple snuggle under wintery trees, in this snowy engagement session at Longwood Gardens in Chester County. I photographed this couple's proposal an hour earlier, and we did an engagement session immediately after he popped the question. This couple was so fun and expressive, and I truly enjoyed myself at this photo shoot!